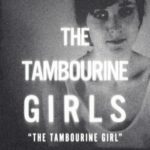 With the release of their second single, “The Tambourine Girl,” Australian quartet The Tambourine Girls edge closer to their debut album being issued later this year. Following on the hallucinatory groove of first single “Police,” one could consider “The Tambourine Girl” a theme song of sorts for the likes of Kate Moss and her fellow heroin chic supermodels. Frontman Simon Relf was kind enough to succinctly answer our 8 Questions shortly after the band put forth its near-epoynomous single, sparing bandmates Nick Weaver (guitar), Pat Harris (bass) and Carlos Adura (drums); sending us on a mission to find our King James; and illuminating the fact our questionnaire needs updating. Thanks again to Simon for his time. Stream “The Tambourine Girl” below.